The set contains 20 standing figures: Joseph, Mary, baby Jesus, nine angels, two shepherds, three sheep, and three wise men (plus gifts). Joseph stands 2.25 inches tall. 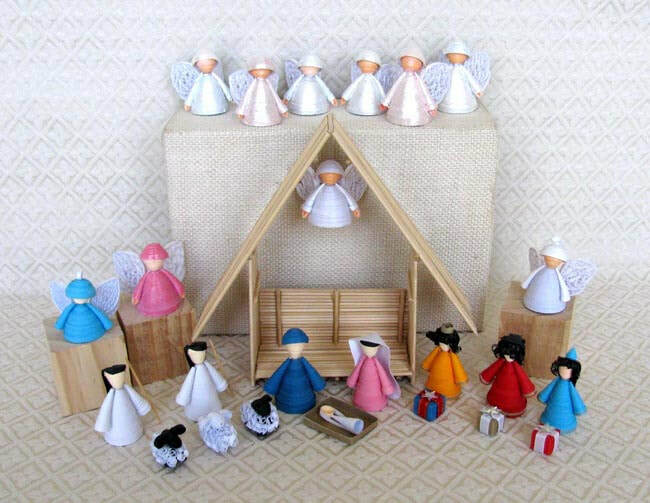 The set also includes a handmade stick stable with an attached angel. The stable measures 7 inches tall.